Are Your Agents Systematized or Flying ‘By the Seat of their Pants’? Are your agents systematized in their businesses–or are they flying ‘by the seat of their pants’? In this latest edition of Up and Running, I’ve identified 10 real estate trends that most critically affect how agents do business. Here’s trend #4: Systematization. To be more effective, you need to a�?duplicate and delegate.a�? The trend today is for agents to move faster and better by systematizing what they do and using technology to do it. The first step is to create checklists and processes for everything you do. These become your systems. For you new agents, take full advantage of every checklist and presentation your company offersa��and those here in Up and Running in 30 Days . Youa��ll save hundreds of hours of time and energy, because these resources are the result of expertsa�� work. Your clients want to know that you have systems so that you provide a high quality of work every time. 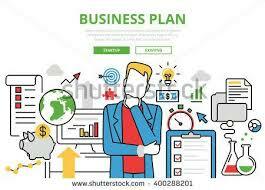 * Big Idea: Ita��s much easier to refine a ready-made system than to create one from scratch. Your second job is to find some technology to support these processes. Your company may have already done that research work for you. It is amazing to me the number of agents who do not take advantage of the technology their company has paid for in research, development, or partnering costs. For example, one large franchise had partnered with a lead follow-A�up company to ensure that their agents had a simple, effective method to follow their Internet leads. The franchise spent thousands of dollars and hours researching companies to ensure that they chose a company in the agentsa�� best interests. They negotiated a great price for their agents, too. 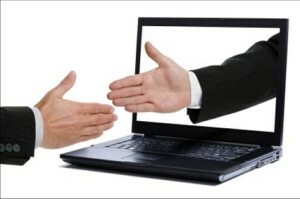 However, only about half of the agents in that franchise took advantage of the thousands upon thousands of dollars their company spent to create that partner agreement. I just cana��t see any reason not to take advantage of such a great opportunitya��unless the agent just didna��t care to be successful! In this newest edition of Up and Running, I have a comprehensive References/Resources section. Ia��ve asked experts in the real estate field to name their favorite technology and Ia��ve provided their recommendations to you. * Big Idea: Use the technology and systems your company has invested in for your convenience. Positives: Youa��re going into the industry as it has matured in its choices for needed technology. It will be easier for you to choose those that are important to your career success. Watch out for: Invest quickly enough, but dona��t invest in gimmicks. Also, dona��t let yourself think that if you have all the technology toys, youa��ll be successful. * Big Idea: Duplicate and delegate. So, here are my questions to you: Have your agents started organizing their businesses with checklists and processes? Have theyA� taken advantage of your company’s resources? Are they starting with the technology they offer to you? Dearborn Education Company just released my 5th edition (!) of Up and Running in 30 Days. This book is literally the new agenta��s business start-up plan. In addition, Ia��ve provided lots of training and advice to assure new agents know what to do and how to do it. One of the updates in this edition is the technology new agents really needa��and what they dona��t need, so they dona��t waste their previous dollars! Note: See the References and Resources section in UP and Running in 30 Days A�for resources for these valuable tools. And, the reference section offers dozens of references for other software, training, etc. These references include only a few of the technologies agents use in business. Before you buy anything, interview three technology-savvy, high-producing agents in your office and identify the technologies they consider important. Dona��t expect your real estate company to provide them, although seasoned agents within your organization may be willing to provide direction on the best use of technology. Also, see your manager for advice on the most up-to-date technology you need to perform. Caveat: Dona��t run around buying every marketing program and tech tool from vendors. As Gary Richter, one of the newer, successful agents quoted in my book, advises: a�?There are many different programs and systems that vendors will try to sell to you as a new agent. Many overlap in capabilities. Pick one that works for you and stick with it.a�? 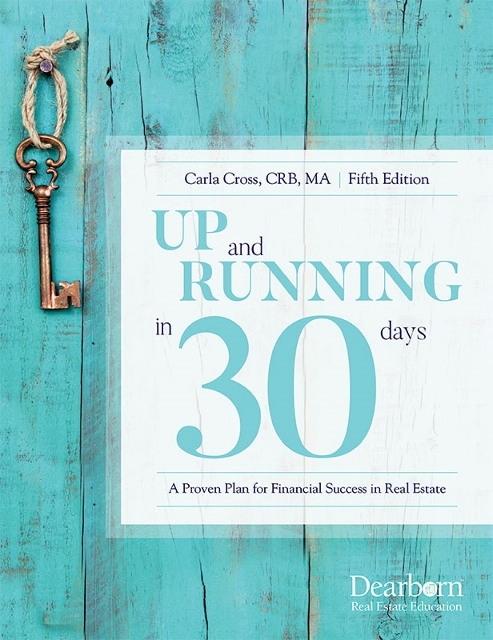 Take a look at what’s new in Up and Running in 30 Days:A� updates in 5th edition. This invaluable book is only $32.95 plus shipping, and has been used by thousands of new agents to launch successful careers. Order here.